The Geezers on Wednesday, January 9, ventured out to a new establishment here in Akron, Ohio. We always like to visit new places and critique how they operate their business, and if we like it. On this nite it was The Ramp on S, Main St in the Akron, Ohio area called Portage Lakes. So to begin with there is water around. To qualify it even further it is in an area called Sandy Beach. It has quite a history. Sandy Beach, on the West side of S. Main St, now is an elegant housing development. Before that it was a restaurant/bar called the Pelican Kove. And before that it was an area that had carnival type rides and games. It goes back a long way. 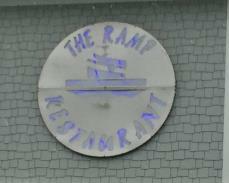 So by the owners naming it, The Ramp at Sandy Beach, it brought a lot of memories back for residents of the area. Now getting back to The Ramp. It is located on the east side of S. Main St. From the outside it doesn't look like much, but once inside it will take your breath away. The first thing you will see when you walk in is a boat. But it isn't only a boat. I believe it is actually a converted booth. I doubt if anyone will ever sit in it unless there are no other seats available. We did not go into the dining room area, but it is surrounded by glass windows with a view of the lake. The bar is the same way however, it is also surrounded by many big screen TV's. We ordered from a menu that was given to us at the bar. We were not sure if it was only for the bar. Being there for the first time we didn't really study the menu thoroughly. We just ordered items that caught our eye. Go to our PHOTOS PAGE to see pictures of the interior, and some of the food items that we ordered. For what we ordered the food was good. 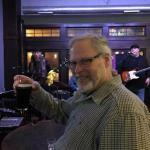 The only negative that we found, last Wednesday, was that there was not many types of draft beer available. They did have Yuengling, that a lot of the Geezers drink, Miller Lite, and some IPA's. But no dark beers like Guinness. They did have Guinness in a 14.9 oz can labeled 'DRAUGHT, Stout. We were not aware of any specials for Happy Hour for food or drink. We will check into that the next time we are there. I say that because I believe we will be back there again. The locations we visit are voted on each month. It was also good to see one of our part time Geezers, The Candyman (Verg Gispon), and his wife Mary Ann. We found out that Verg had a "mild" stroke a few months ago, but as we saw Wednesday nite, he has responded well to treatment, and has regained all of his bodily functions. Next TUESDAY (January 15, 2018) We will be back to Legends again. He went out with a BAND! We are talking about fellow Geezer, S.B. A/K/A Skinny Boy, Doug Bender. 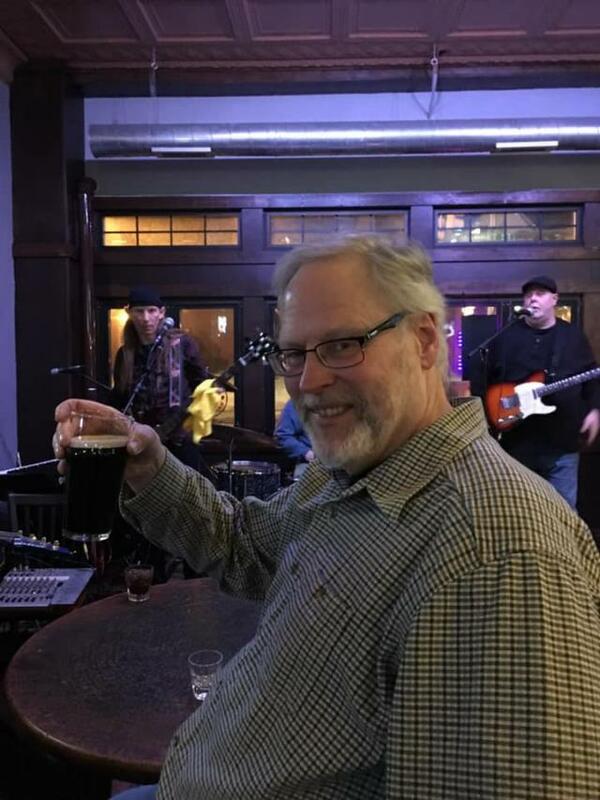 On Thursday January 31, 2019 Doug retired from too many companies to list here. It's a long, long story. But to make a long story short, he was originally employed by the Goodyear Tire & Rubber Co where his dad, Bob (Chief of Police) also worked. Goodyear went through a lot of changes over the years like many other companies did. After bouncing around different departments he ended up in the Data Center. Then it all began to change. Goodyear sold him (Data Ctr) to IBM, who sold the business to Lockheed Martin. They in turn followed suit, which started the domino effect of sales by different companies. Doug basically did the same job for Goodyear all along, He had a desk at their headquarters. .
All along he was involved with music playing in a number of bands mainly the Phantom Band, and then The Oldies But Goodies Band (OBGB). The OBGB eventually disbanded, and the Phantom Band reformed. 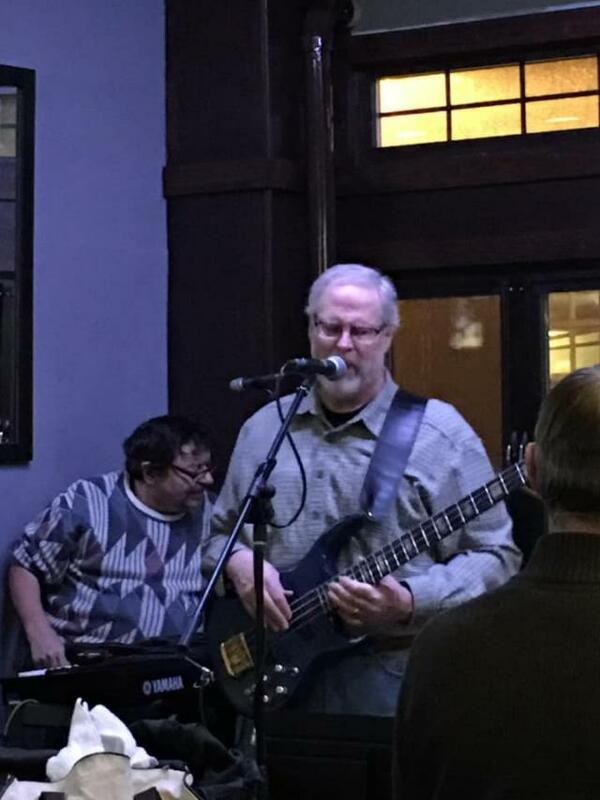 With the number of gigs each year disappearing for the Phantom Band, due to a member of the band moving out of state, Doug began getting involved with a nightclub that held mic nights called the Barmacy, which was formerly a pharmacy converted to a bar. 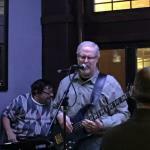 He became more involved with the Barmacy meeting and playing with many musicians. From this spawned a duo that he is currently a member of called The R & D Duo. They can be found on Facebook. As we stated in the beginning Doug's LDW was Thursday, January 31. 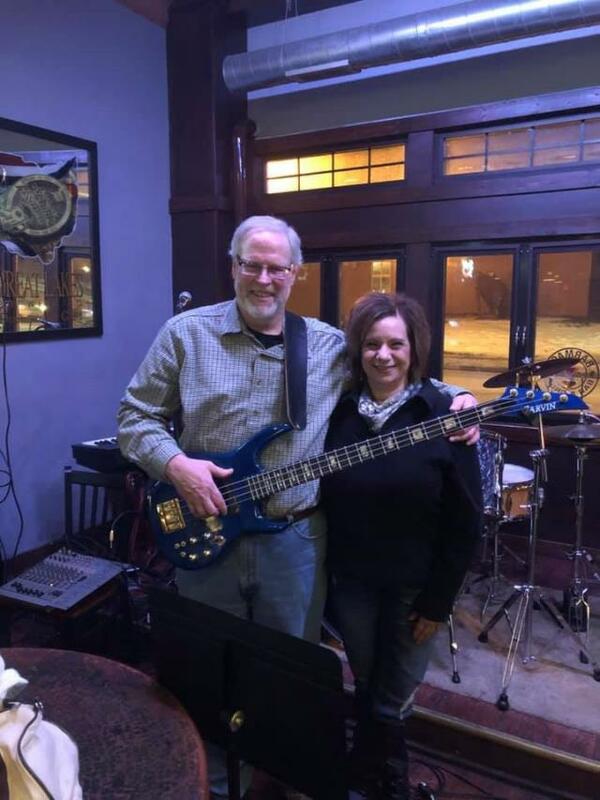 He did not have a formal party, but he informed his friends on Facebook that his regular Mic Nite at the Barmacy (West) that Thursday would serve as his swan song, and invited those who wished to come to share in celebrating with him. Also, Tricia let us know that the day after the Super Bowl Legends was going to close for the rest of February. On top of that we just learned that they are changing the name. 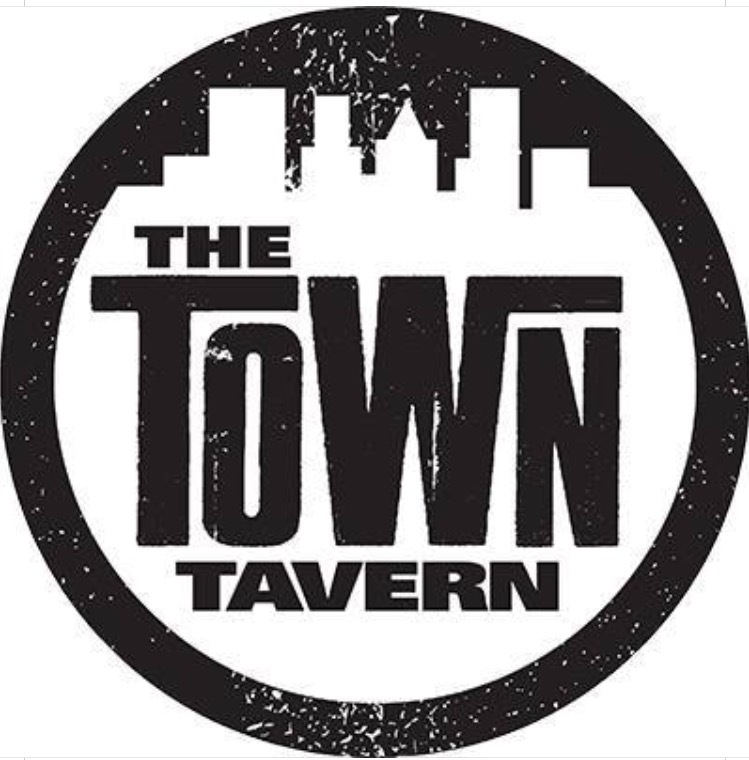 When they reopen on March 1, it will be called The Town Tavern. 3900 Medina Rd, in Akron, Ohio. Evidently this is one of a franchise, which the Hooley House in Montrose is. Once Legends closed its doors on the night of February 3rd, it iwas no more. 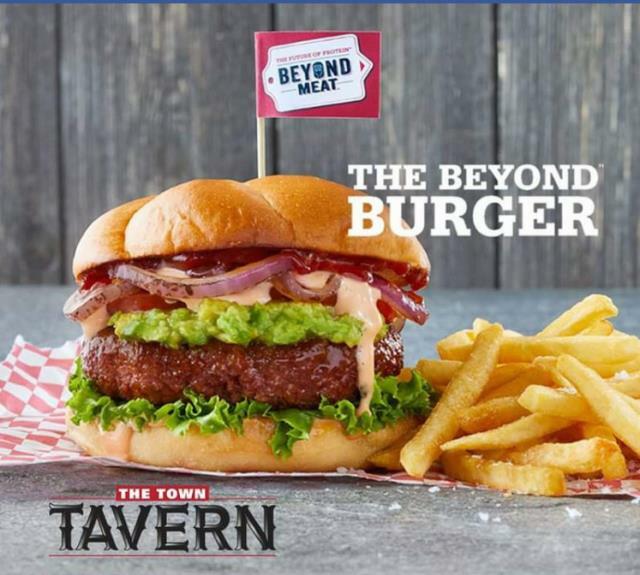 Below are a few pictures we found on this Town Tavern website. 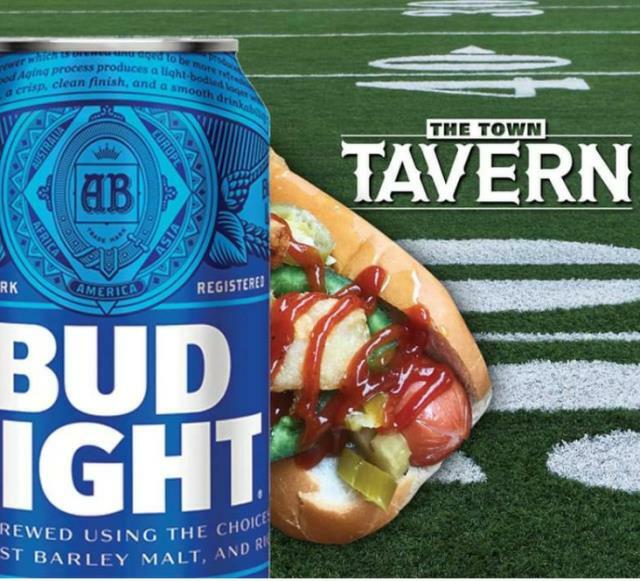 If the Town Tavern coming to Green is indeed part of a franchise, It looks like there are some good things to look forward to once the doors of the former Legends open again. As most of you know Legends Sports Pub has been closed since February, and was slated to reopen in March of 2019 as The Town Tavern. .We voted it in, and scheduled it late in the month on March 27. We have been in touch with Tricia, bartender at Legends, and she told us that the Town Tavern in Green is a "No Go" for the month of March. She also said that they are now looking at mid April. 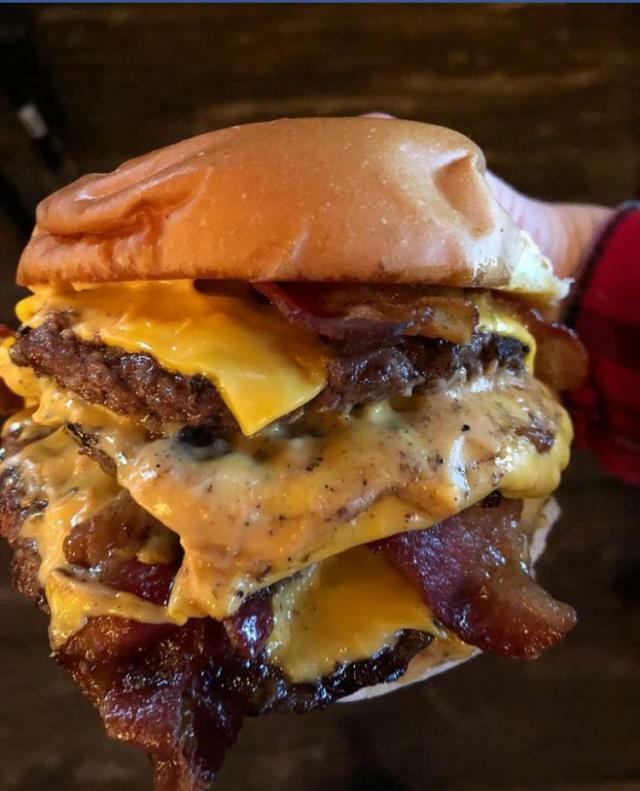 We discussed this possibility at Jerzee's a week ago. 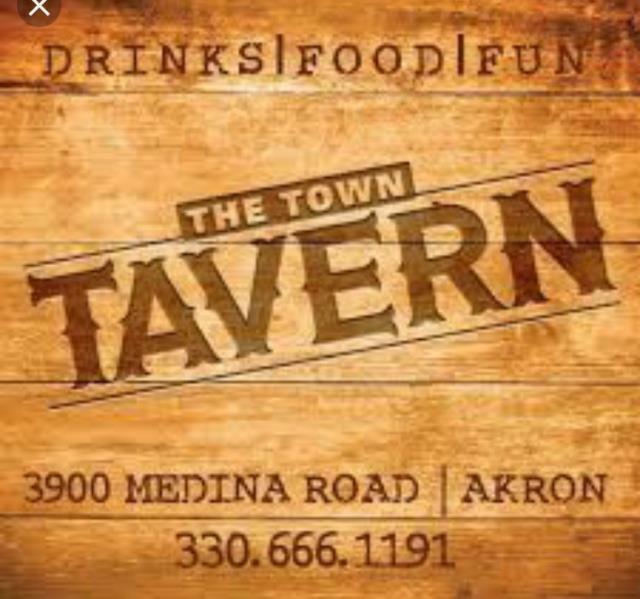 We found out that there is another Town Tavern in Fairlawn. 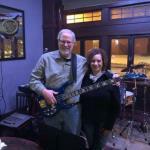 Tricia has trained at the Fairlawn Tavern, but she is not working there on a regular basis. However, we decided to go to that Tavern on March 27 instead since we have already voted. The address is listed on the photo above. Medina Rd is actrually W. Market St. This Tavern is located on the north side of W Market St in a strip Mall called Montrose Center. A Chipolte restaurant is located on the corner of W. Market and Cleveland Massillon Rd. The phone nubmer is 330-666-1191. As you probably know the former Legends Sports Pub shut down for the month of February, and was slated to reopen mid-March. It was voted in for the month of March, and we scheduled it for the last Wednesday 3/27/19. However, we were told by, Tricia, former bartender at Legends, that it will not be open by the end of March. 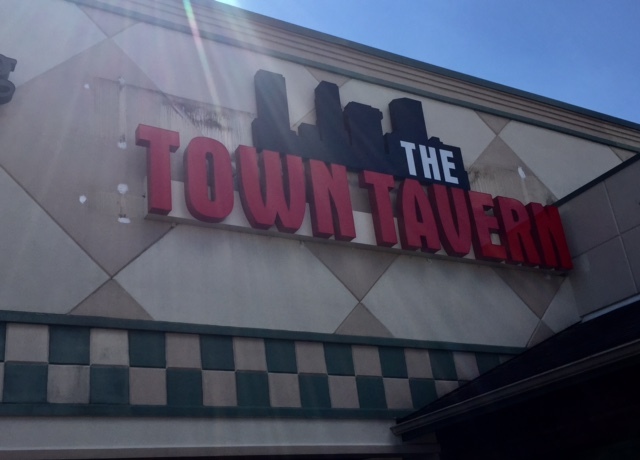 So we went to the Town Tavern in Fairlawn instead. Tricia then told us that the Town Tavern should be open by mid April. I was out in Green on Wednesday afternoon to the Summa Health Center for blood work. After that I went over to the location of the new Town Tavern. They do have a new sign up, and a sign reading: Coming Soon! But when I looked thru the windows it didn't look like they would ready to open for business by the end of the month, from what I saw. I saw a large round bar in the middle of the room to the right of where the old bar was located. But I didn't see any beer taps or bar stools. There were things scattered around the room, and men working on ladders on the ceiling. In other words it looked to me like it was still Under Construction. However, as of the date of this writing, 4/4/19, there are still 26 days left in this month, and we have scheduled April 24th for a Geezers meeting. 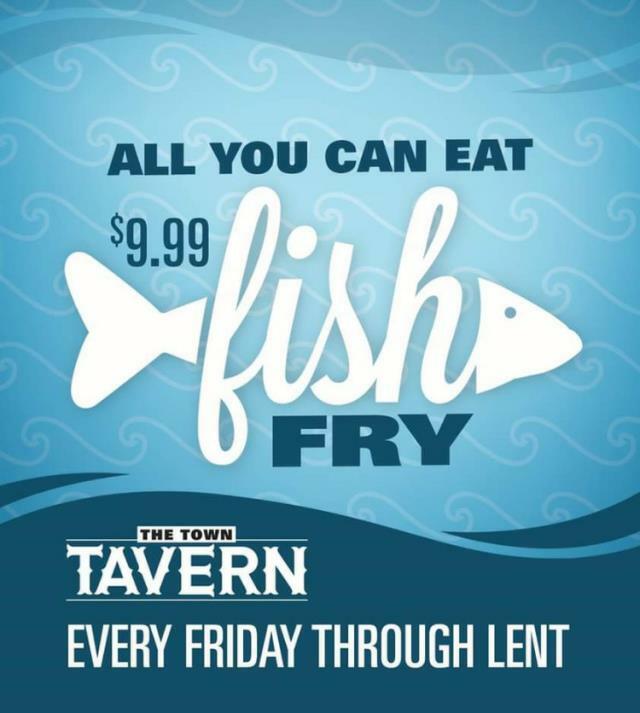 Hopefully, a miracle will happen and the Town Tavern will hold a Grand Opening for us.